The Columbus Army Air Base, Atterbury Army Air Field, and Bakalar Air Force Base commanders and leaders. Captain Stratton Hammon Base (shown at left) is Commander during construction. Major Ralph M. Fawcett arrives from Godman Field to become Columbus Army Air Base temporary commanding officer. The first large group of troops arrive from Pine Camp New York, under the command of Major Avery S. Keller. 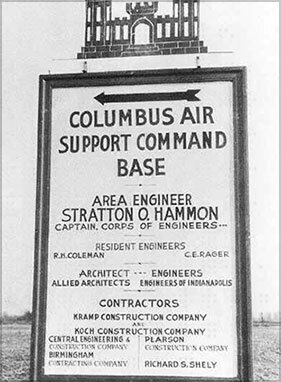 The Columbus Army Air Base was officially named Atterbury Army Air Field during April 1943 and Bakalar Air Force Base November 14, 1954. The 431st Sub-Depot is activated at the Atterbury Army Air Field under the command of Major Charles D. Kerswill (shown at left). Major Avery S. Keller is transferred and Captain Roland M. Huff becomes acting commander. Major Ralph M. Fawcett returns to Atterbury Army Air Field as commander. 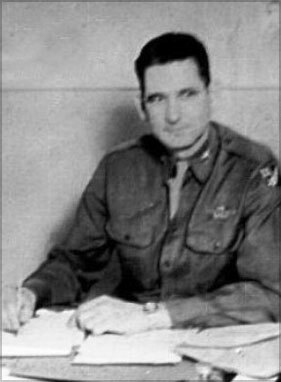 Transfer of Atterbury Army Airfield from the Third Air Force command to the Troop Carrier command announced by Lt. Edward L. Dorr, acting commander of the field. It is formally announced by Colonel Robert R. Selway Jr., at Godman Field, that Lt. 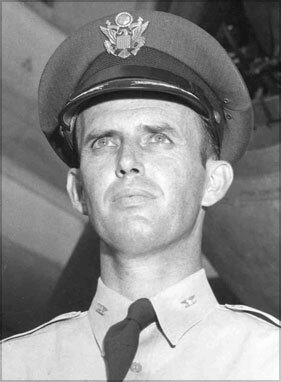 Colonel John B. Pattison Jr., of Chicago is sub-base commander at the local field and is deputy commander of the 477th Bombardment group. The Atterbury Army Air Field is now on a "stand-by" basis and plans call for reduction of the staff at the field to 23 civilian employees and one or two Army Air Forces officers by February 10, stated Captain Luther J. Smith Jr., new base commander. 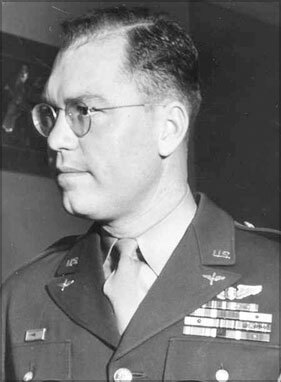 Captain Smith succeeded Major Robert E. McDonald as commander. The 2466th Air Force Reserve Training Center will be moved from Stout Field, Indianapolis to Atterbury Air Force Base effective June 27, 1948, announced by Major General Paul L. Williams, commanding officer of the Tenth Air Force Headquarters at Fort Benjamin Harrison, Indianapolis. The 2466th Air Force Reserve Training Center is commanded by Colonel James O. Ronin. 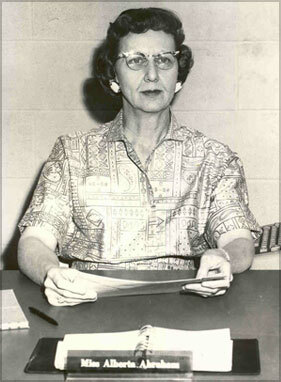 Miss Alberta Abraham served as personal secretary to all the base commanders from 1949 until the base closing. That list of base commanders is: Sebastian, Ronin, Palmer (temporary), Pocock, Hamilton, Foster, Smith (interim), Dennison, Salter, Kneemyer (interim) Powers, Hoff, Verhulst and Johnson. 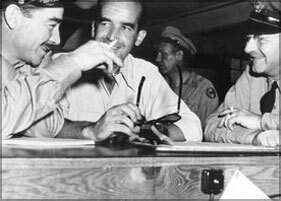 The Wing Commanders of the 434th were: Murrow, Bradshaw, Hoff, Verhulst and Johnson. Lt. 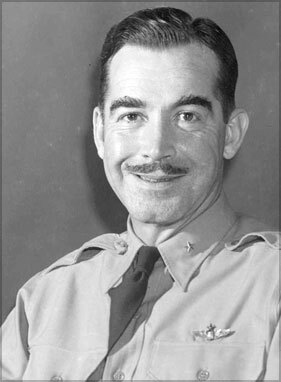 Colonel Howard H. Cloud Jr., assistant deputy commander to Brigadier General Harry. A Johnson, will command the Air Force Base. Lt. Cloud was a glider pilot during World War II according to a May 19, 1949 Indianapolis Times newspaper article. 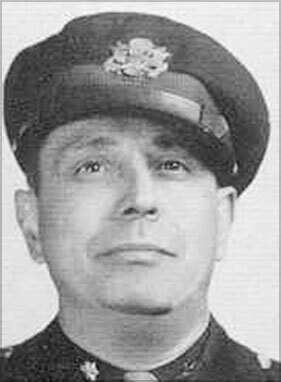 An Evening Republican Newspaper article stated that Captain L. Y. Belote, who has been commanding officer at the local field for some time, will remain as installations maintenance officer. 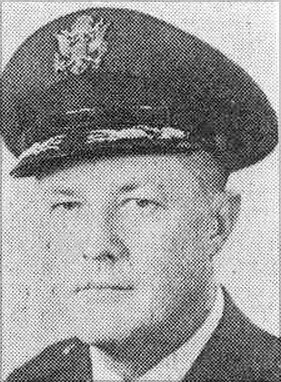 The Evening Republican newspaper stated that Captain L. Y. Belote, who has been commanding officer at the local field for some time, will remain as installations maintenance officer. A change in command at the Atterbury Air Force Base and plans for the next Air Reserve unit to train here, Indiana's 434th Troop Carrier Wing, was announced today at the local field. 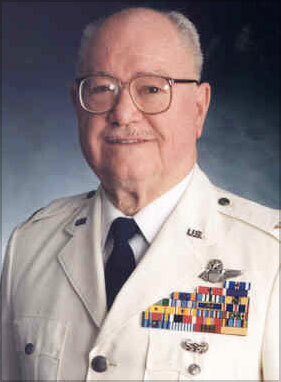 Colonel Ivan M. Palmer (pictured) has assumed command at the base, succeeding Colonel James A. Ronin, who has entered Wright Patterson General Hospital at Dayton, Ohio. The change in command became effective today. Colonel James A. Ronin, commanding officer at Atterbury Air Force Base, will transfer to headquarters of the Continental Air Command at Mitchell Air Force Base, New York. 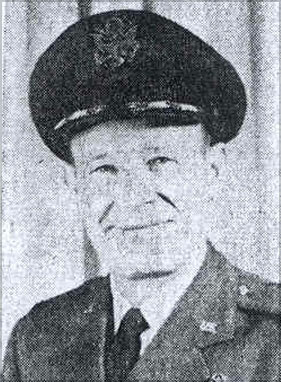 Colonel Williams S. Pocock (pictured) is expected here January 1, 1951 to succeed Colonel Ronin as commander at Atterbury Army Air Field. Colonel George Riley, Indianapolis, has been appointed commanding officer of the newly activated all-Hoosier 923rd Reserve Training Wing, which will train at Atterbury Air Force Base. A monument in honor of air hero Lt. John E. Bakalar was unveiled Saturday in ceremonies at Bakalar Air Force Base, marking the first anniversary of the base dedication. Following the ceremony, command of the base was formally transferred to Colonel Bryon Foster. Colonel W. Foster assumes his new duties as commander of Bakalar Air Force Base today. He succeeds Colonel Herbert O. Hamilton (pictured) who was re-assigned this summer to the Continental Air Command at Mitchell Air Force Base. 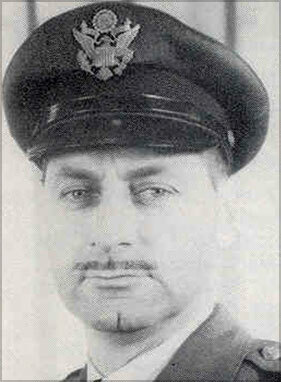 Major George A. Smith had been serving as base commander pending arrival of Colonel Foster. 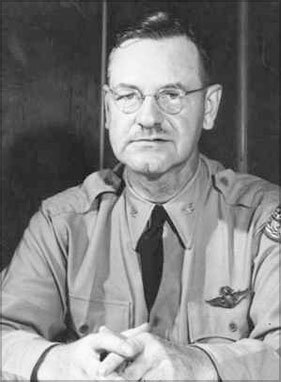 Colonel Junius W. Dennison (pictured), former Fifth Air Force Inspector-General in Japan, replaces Colonel Byron W. Foster as commander. Colonel Foster has been assigned to Saudi Arabia. Chaplain Curtis M. Bean from Chambley Air Force Base in France is replacing Chaplain Roland Culver, who is leaving the Air Force for teaching. 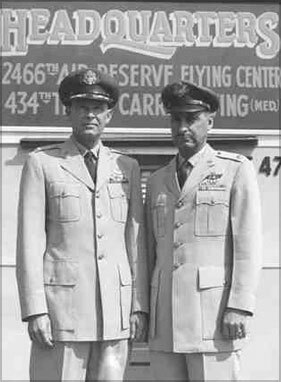 Colonel Dennison and LTC Salter are pictured in this August 1958 photograph. Colonel Junius W. Dennison Jr., commander of Bakalar Air Force Base since January 25, will retire Sunday after almost 25 years active duty. Lt. Colonel R. D. Salter, Bakalar executive officer, is to be named base commander. The transfer of Lt. Colonel Richard D. Salter (pictured), the 18-year career Air Force officer, came in the wake of an official Air Force investigation into the crashing of two Bakalar planes in West Virginia mountains September 7,in which four persons were killed and two injured. Major Robert B. Kneemyer will temporarily assume command of Bakalar Air Force Base following the departure of Lt. 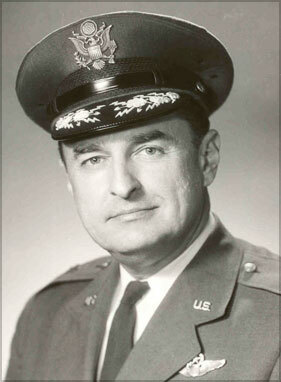 Colonel Richard D. Salter. Pending transfer of Lt. Colonel Kenneth H. Powers, Bakalar Air Force Base commander since January, was reported today by the local base. Lt. Colonel John W. Hoff (pictured) of Columbus, 434th Troop Carrier Wing, will assume command of the base, to be re-designated as Bakalar Air Reserve Base. 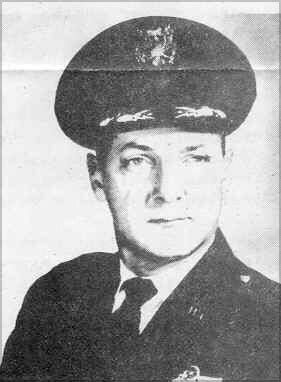 Hoff served as the Bakalar Air Force Base commander from July 1959 to July 1967 and as 434th Troop Carrier Wing Commander from October, 1962 to July 1967, serving at one time as both base commander and wing commander. 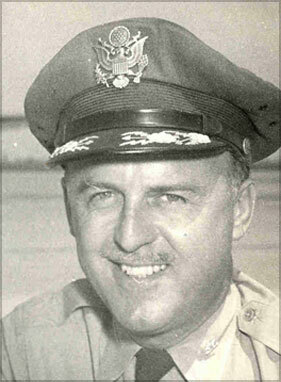 General Hoff was also the 512th Wing Commander at Carswell Air Force Base, Fort Worth, Texas. 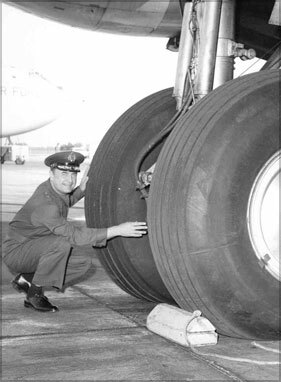 Photo at left: General Hoff inspecting the wheels of a C-124 Globemaster when he was commander of the 512th at Carswell Air Force Base, Texas. 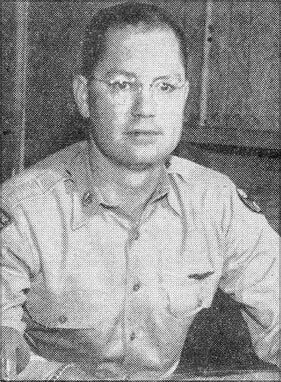 Colonel William J. Crandall, who succeeds Lt. Colonel Burton A. Meglitsch, is the new director of operations and training for the 434th Troop Carrier Wing. 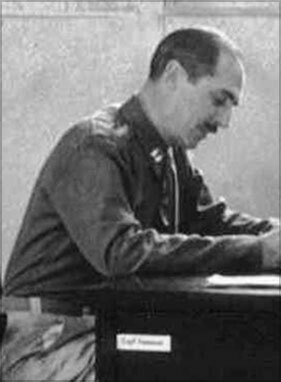 Colonel Alfred Verhulst (pictured) commander Bakalar Air Force Base. Plans for closing Bakalar Air Force Base and inactivating the 434th Troop Carrier Reserve Wing have been called off, base personnel were told Tuesday by Brigadier General John Hoff base and wing commander. Colonel William J. Johnson Jr. (pictured) has been named commander of Bakalar Air Force Base today. Colonel Johnson succeeds Colonel Alfred Verhulst. Most of the information and photographs on this page are from the files of the Evening Republican newspaper, The Republic newspaper, Bakalar Air Force Base publications, or personal files of former base staff. The dates are the newspaper dates and may not reflect the exact assumption of command dates. The information about the command at the former air base may not contain all commanders and information as there are no records at the museum except for the newspaper articles and a handful of remaining Air Force documents. If you have photographs, stories, documents or memorabilia you wish to share with the museum please let us know. We are looking for photos of former base commanders, staff, and airmen.